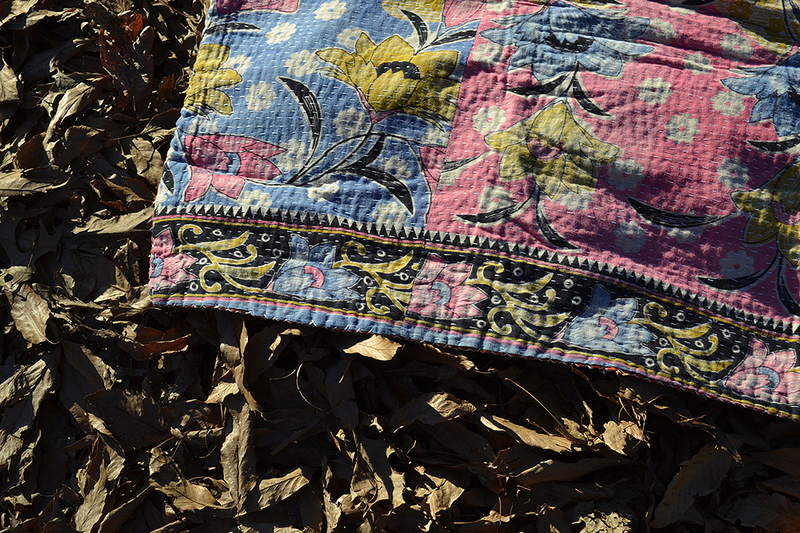 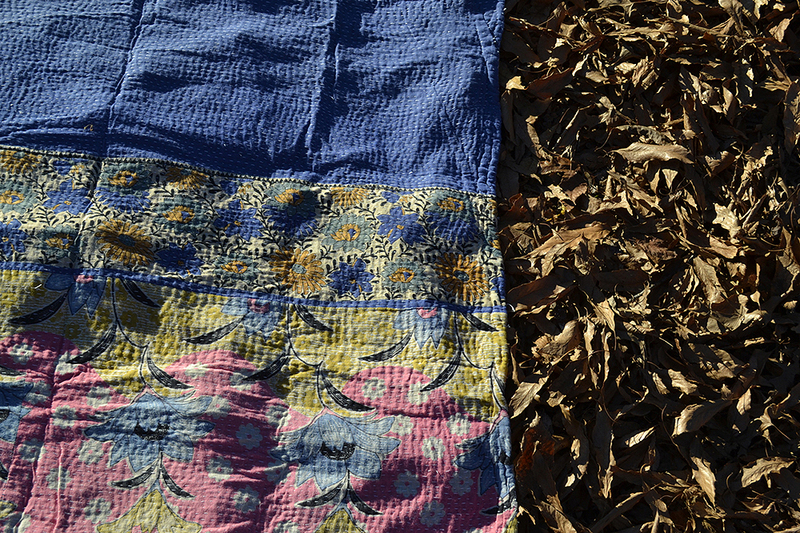 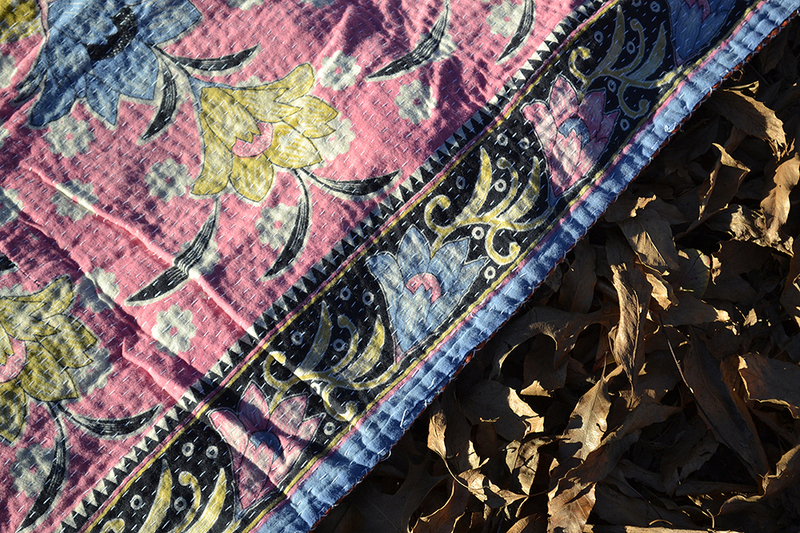 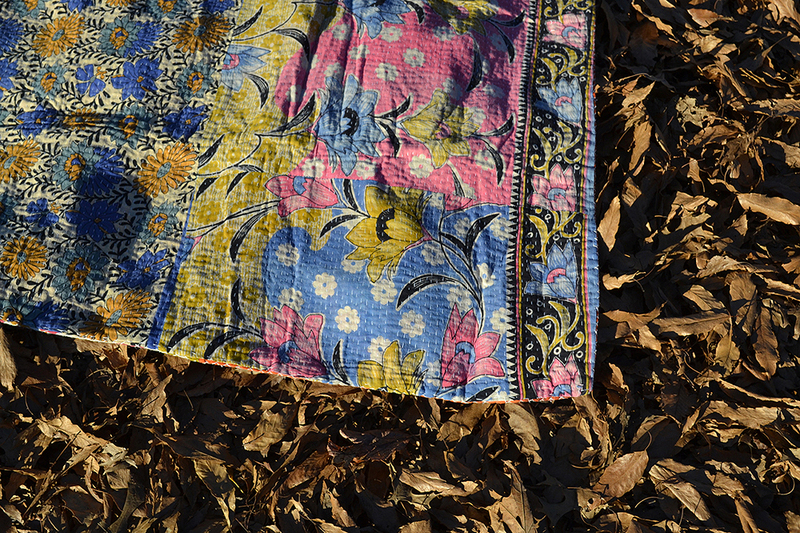 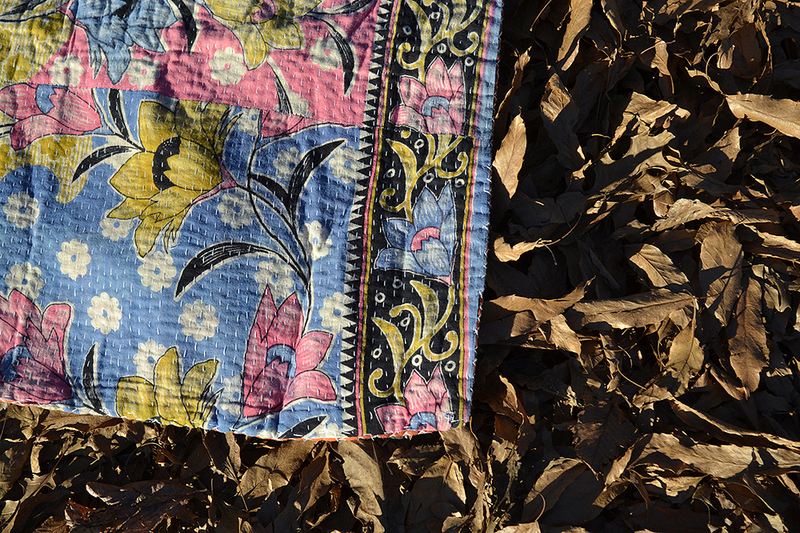 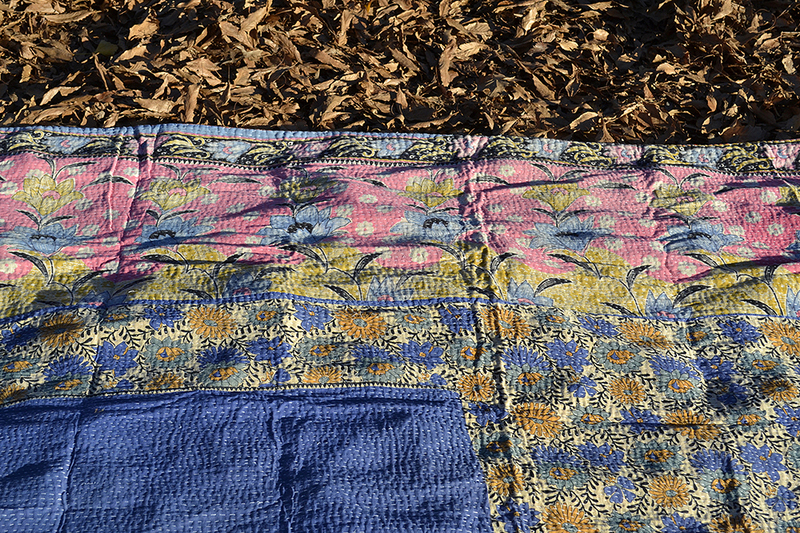 A lovely lightweight kantha floral quilt cover or blanket in pinks and blues, great as a kids quilt! 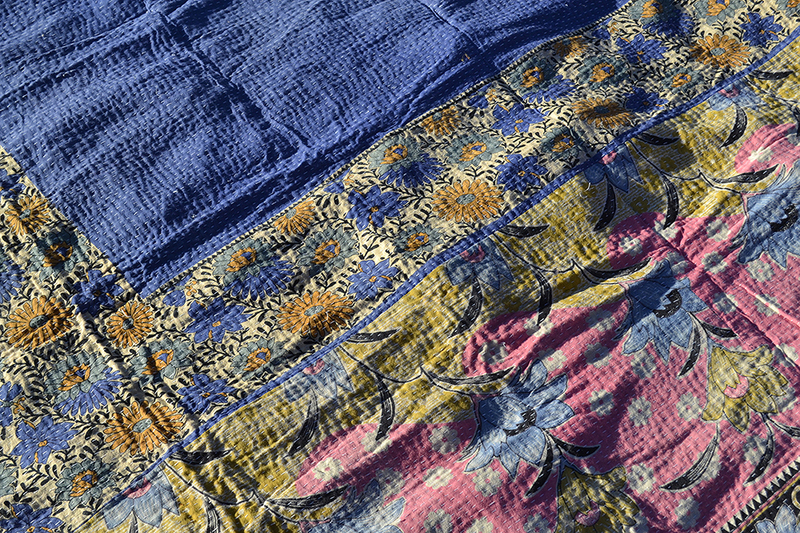 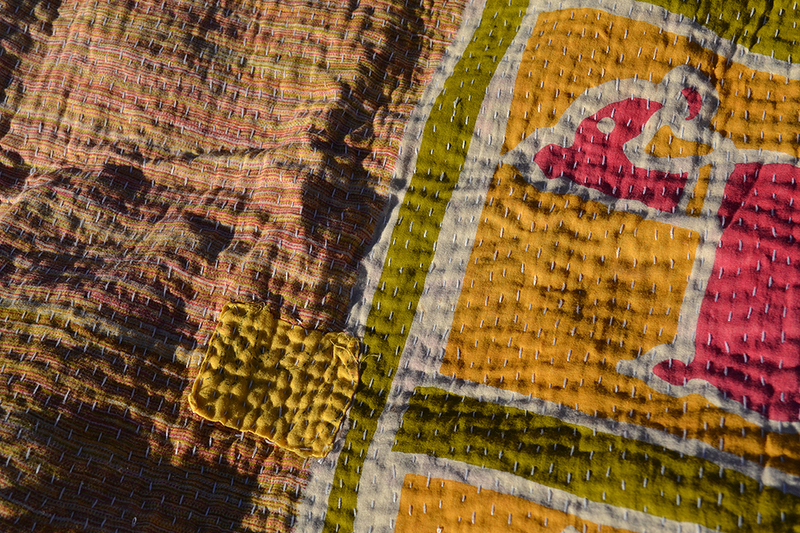 Made from layers of cotton saree, this embroidered patchwork quilt was handmade by women in rural India using kantha stitch hand embroidery. 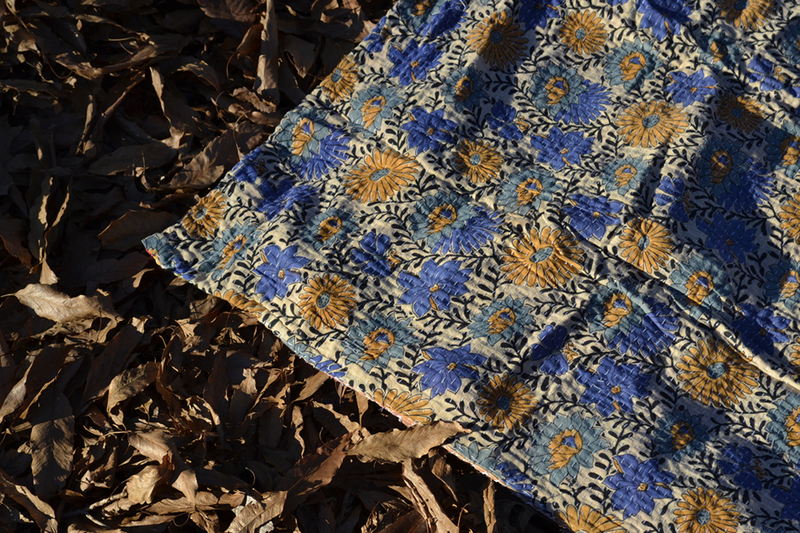 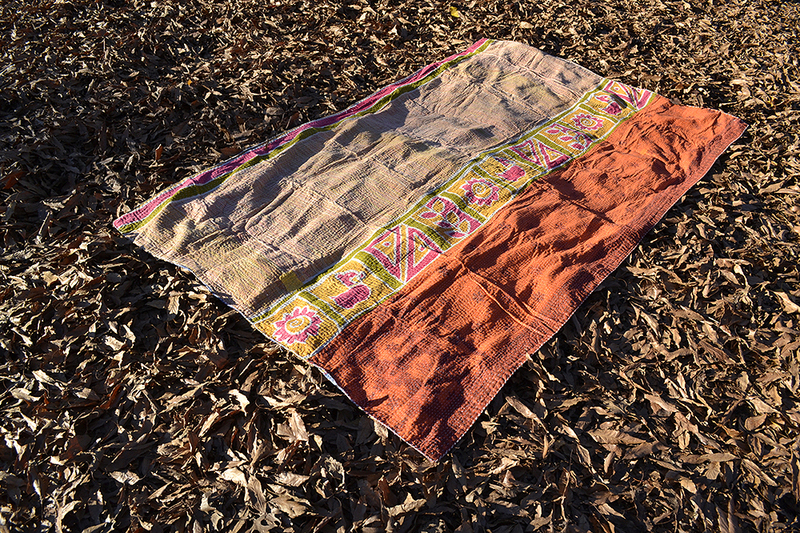 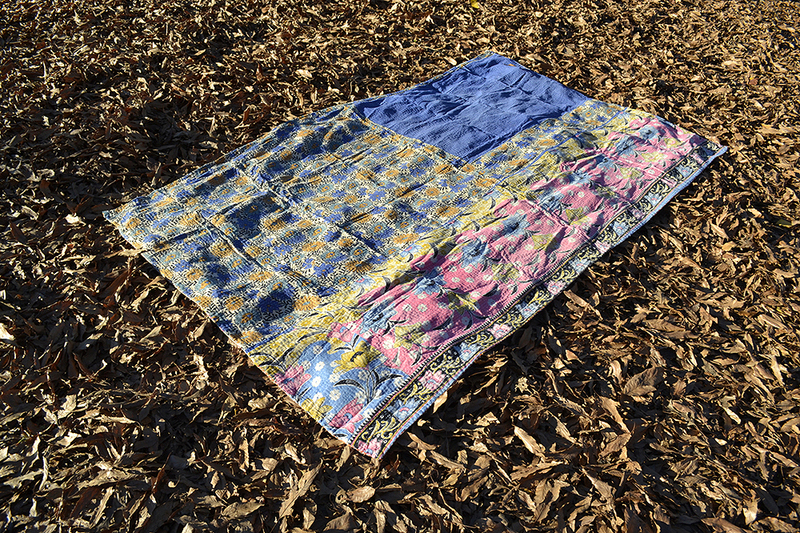 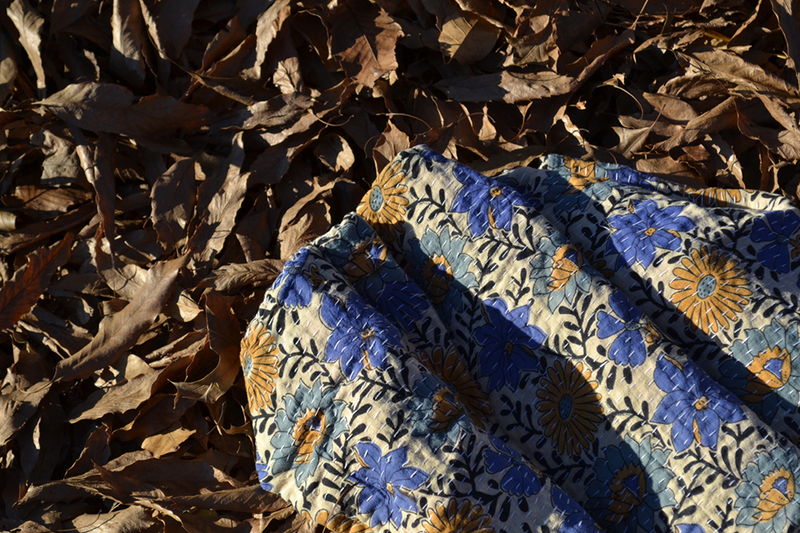 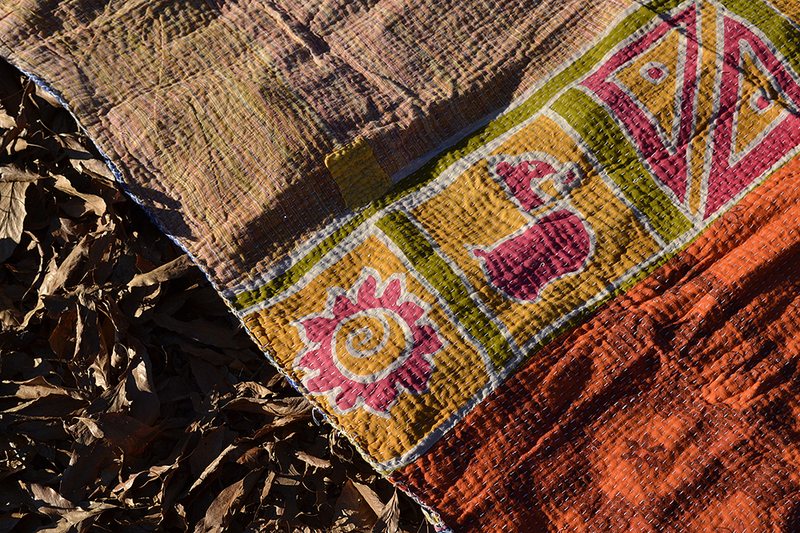 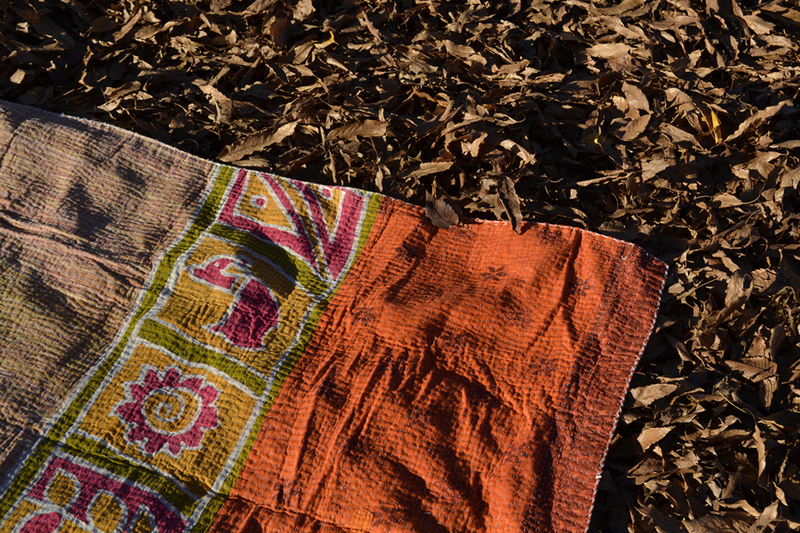 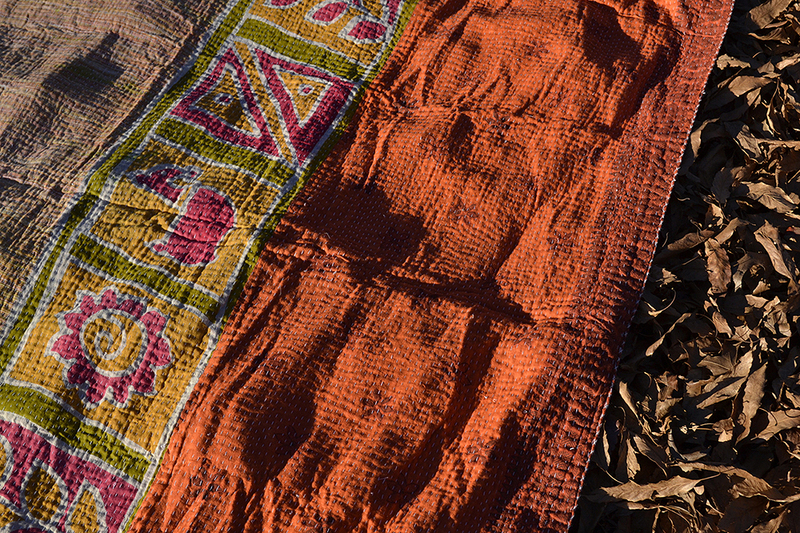 Shop the JESSA quilt here and our full range of cotton kantha quilt throws, decorative throw blankets and saree embroidered textiles straight out of India.